People with mild or moderate bilateral hearing loss can suffice with hearing aids as they make sounds louder. But people with profound or severe hearing loss in one or both the ears have to resort to cochlear implants. 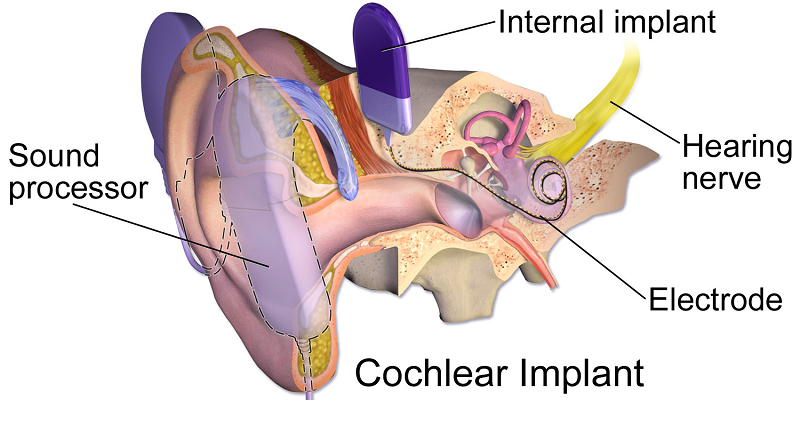 Cochlear implants work by bypassing the damaged part of the inner ear (cochlea) to make sound signals reach the brain directly. The sound signals are directly processed by the brain and interpreted as sounds. 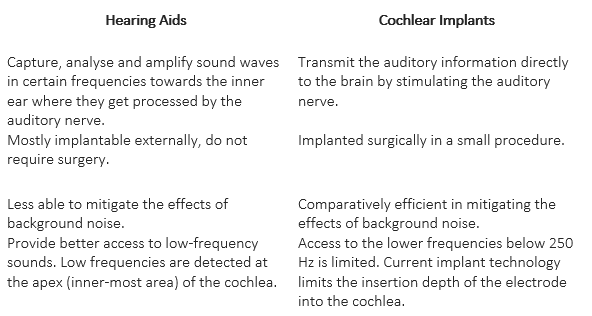 While both the devices claim to manage hearing loss and treat its most common type — sensorineural hearing loss, there are evident differences between the two: The following table highlights some of the important difference between hearing aids and cochlear implants. Almost all individuals with a cochlear implant would have used hearing aids once before opting for the implant surgery. The shift is made when one doesn’t seem to derive the maximum benefit from hearing aids due to reduced cochlear function or poor speech discrimination. Cochlear Implant in India is beneficial in more ways than one. World- class facilities at hospitals, highly skilled cochlear implant surgeons, affordable prices, and government aid are some of the reasons that have been attracting nationals not only from the West but also from the UAE and the Arab countries. Cochlear implant hospitals in India are equipped with state-of-the-art technology and equipment used for successful treatment of the patients with impaired hearing. Cochlear implant cost in India is much affordable in comparison to countries such as the US and the UK. The surgery is often followed by a therapy, generally done by a speech pathologist and audiologist, in order to get acquainted (or reacquainted) with the sense of hearing.